In this article I’ll be giving my review on the hair growth vitamin supplement pills from zenwise labs. This product is aimed towards helping strengthen weak hair and helping your current hair grow quicker, by that I mean this product isn’t meant to cure baldness or make hair grow where it has stopped. I just wanted to clarify that for any hoping that this is what this product may be for. I wanted to go over a little bit of the points I mentioned above. The ingredient profile is solid as it contains a majority of the main ingredients that we know that helps with hair growth in some form or fashion. Also the propriety blend has some unique ingredients that you don’t see as often in hair growth supplements. I always like it when a company does their research and tries other ingredients that not everyone is using. On the flip side of that most of those unique ingredients you’ll find are in their “proprietary blend”. Before I start just know that proprietary blends have gotten a bad wrap in the supplement world because a lot of companies would list an ingredient in that proprietary profile but it would have such a low amount that it basically isn’t doing anything. However since it’s in their product in some way they get to list it on the product label which makes you think that you are getting more out of the product than you actually are. Now I’m not saying that all companies to this but it has just left a salty taste in my mouth whenever I see a proprietary blend mentioned on a label. Other than that though the ingredient profile looks great. 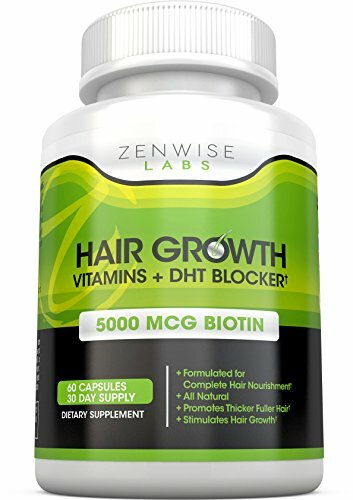 Does zenwise labs hair growth supplement pills actually work? Are there any side effects to zenwise labs hair growth supplement pills? 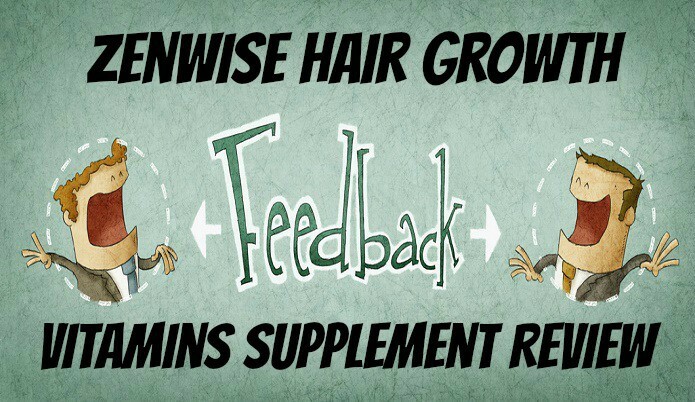 How long does it take to see results with zenwise labs hair growth supplement? Where can I buy zenwise labs hair products supplements? This would be a yes but don’t expect overnight results. 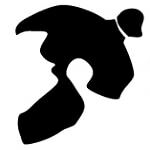 Hair related stuff takes consistent use and time to notice, think like 1-2 months to notice. I personally haven’t noticed anything except for a little bit more vivd dreams which is from the biotin in this product. Also the niacin may cause your stomach to feel a little weird when you first start taking it but this goes away after a day or two of consecutive use. Other than that though I haven’t noticed anything but check with the company if there is anything that your particular hoping to avoid. Like I mentioned above this isn’t a see results overnight type of product. I don’t know of any hair growth product that is like this or it would be pretty famous. Most hair supplement products take about a month to two months of consecutive use to start seeing any difference. I know it’s frustrating but that just how hair is and I wish it was like caffeine where you drink it then notice its effects almost immediately. I bought mine off amazon but they they also sell them of of their website so whichever you prefer then go for it!